The first thing to remember, as I've said before, is that Atlantic Yards is a "never say never" project. Heck, it isn't even Atlantic Yards any more. It's Pacific Park Brooklyn. Expect in 2015 for that new name to sink in a bit more, though not without some smirks and chuckles, as well as references to "formerly known as Atlantic Yards." Big chunks of the project site will be under construction: two towers on the southeast block are already under way, and the stalled B2 modular tower is supposed to re-start. At some point--maybe not in 2015 but surely by 2016--residents and visitors will get a stronger sense of how massive this project will be. An all-affordable rental tower (B3), at the southeast corner of the arena, and a condo building (B12), on the southeast block are supposed to start this year. Expect much more fanfare for the former. Construction of the West Portal to the railyard also continues, and all that significantly constricts Atlantic Avenue between Fort Greene Place and South Portland Avenue. This should make a rather complex situation for the NBA 2015 All-Star Game weekend events, in mid-February, at the arena. New officials at Forest City Ratner and the Atlantic Yards Community Development Corporation, a subsidiary for Empire State Development, should emerge as point people for the project. But officials at the Greenland Group, the Shanghai government-owned majority owner of Atlantic Yards/Pacific Park (except the arena and B2 tower) call the shots, and it's unlikely they'll be very public. 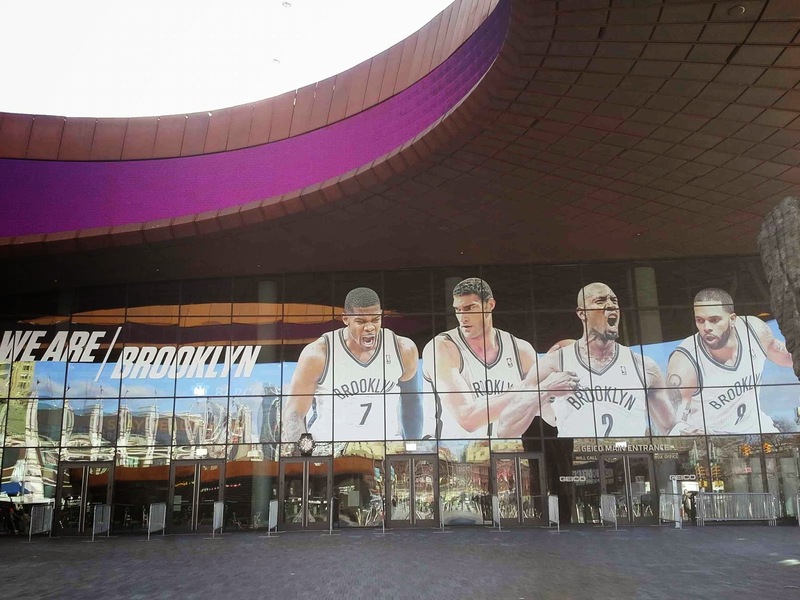 In September, the Brooklyn Nets' new training facility should open in Sunset Park. Expect much fanfare. In October, the New York Islanders arrive at the Barclays Center, ensuring that the arena has events for more nights in the winter, though likely nudging out potential concert dates. More suburban fans should be driving to Brooklyn; it's unclear how many will want to keep doing so after a while. The announced, but delayed, plan for community groups' discount use of the Barclays Center should finally get off the ground. Lots of unknowns surround the Barclays Center and Atlantic Yards/Pacific Park. 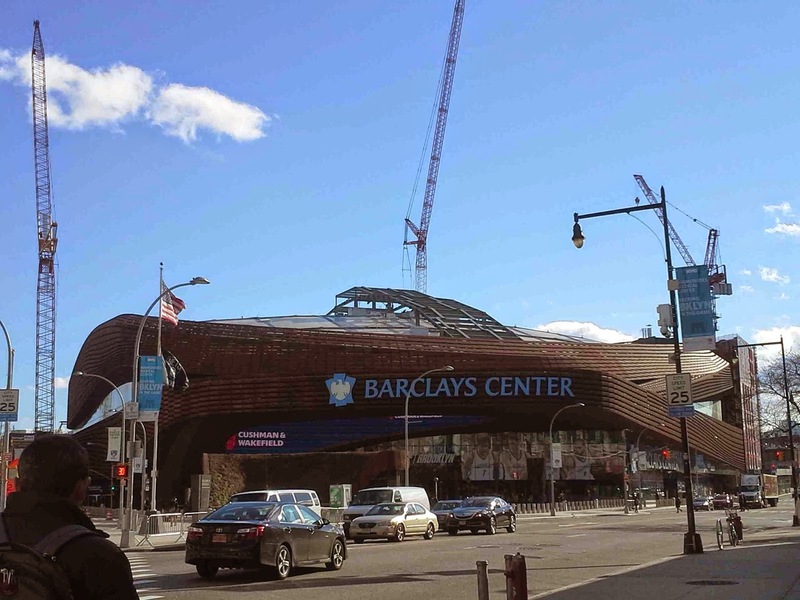 Will the Democratic National Committee choose the Barclays Center and Brooklyn for the 2016 Democratic National Convention? Or will concerns--about the logistics, the fact of non-swing state, the mayor's dicey relationship with the cops--send it to Philadelphia or Columbus? We should know this month or next. When will the B2 modular tower actually re-start? Will it proceed steadily, or will some recovery or repair action be required? What happens to the bitter lawsuits between Forest City and former partner Skanska over cost overruns in the modular project? Will they go to trial--at least $30 million is at stake--or reach a settlement? Similarly, will the lawsuit involving pre-apprenticeship program trainees who said they were promised construction jobs and union cards by Brooklyn United for Innovative Local Development (BUILD) go to trial, with Forest City Ratner potentially on the hook? Or will it be settled? Will sales efforts, however unofficial, in China continue for the 550 Vanderbilt condos and/or other condos planned at the project? Will the Atlantic Yards Community Development Corporation, the new advisory body with members appointed in consultation with local officials, start as promised (late) on January 30, and will it have any impact? How onerous will construction impacts be, and will the changes in oversight have an effect? Will the project's closest neighbors maintain and/or gain energy to monitor the project, such as through Atlantic Yards Watch, or will attrition take its toll? What happens to retail around the arena? 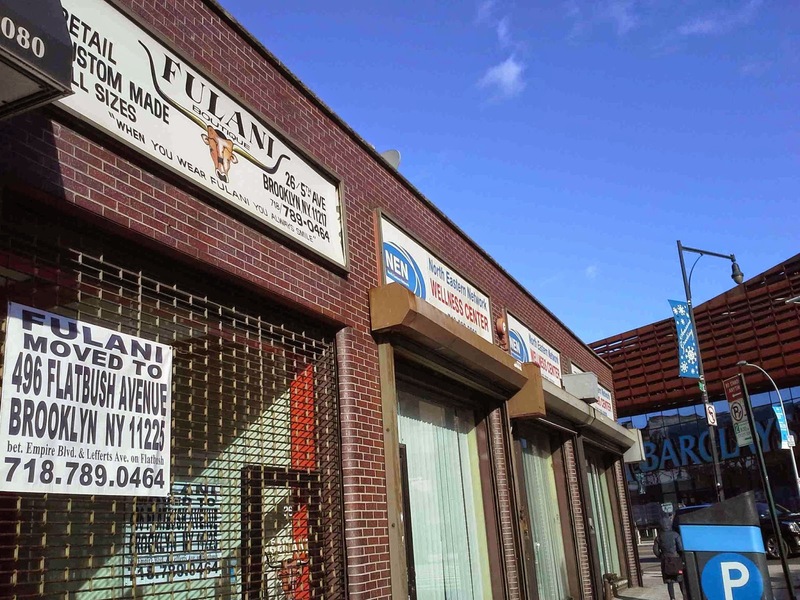 Expect more churn--such as the departure in photo at left of the Fulani boutique to Prospect-Lefferts Gardens--and some more big names, as Parm has been announced. No plans have been announced yet for the coveted Triangle building at Fifth and Flatbush avenues. Atlantic Yards has been full of surprises, including new majority owner, a name change, a failure--so far--of the much-promoted modular plan. What could be the surprise in 2015? I hesitate to guess, but it could involve some package sale of shares of the arena and team. Will any elected official challenge the project? Unlikely, unless Public Advocate Letitia James think it's worth her while. Will anyone drop a dime? Remember, there are elected officials under indictment or investigation--state Sen. John Sampson and Assembly Speaker Sheldon Silver are the most obvious examples--who have ties, direct and indirect, to Forest City Ratner. It is unlikely, but not unfathomable, that the developer's activities might face official scrutiny. I have no inkling of an investigation. But there is a pattern of questionable, if not indictable, behavior in Brooklyn, such as former Forest City executive Bruce Bender's interactions with now-imprisoned former state Sen. Carl Kruger. And the Forest City/Greenland promotional efforts to raise EB-5 funds in China surely skate to the edge of the law, if not over it.